Occasionally when a customer or end user has been particularly pleased with the service received from FRC’s service department they might send in a note of praise to the service manager (we used to call those “Atta-boys”) and these have always been proudly posted on the FRC Service board and shared around the office. 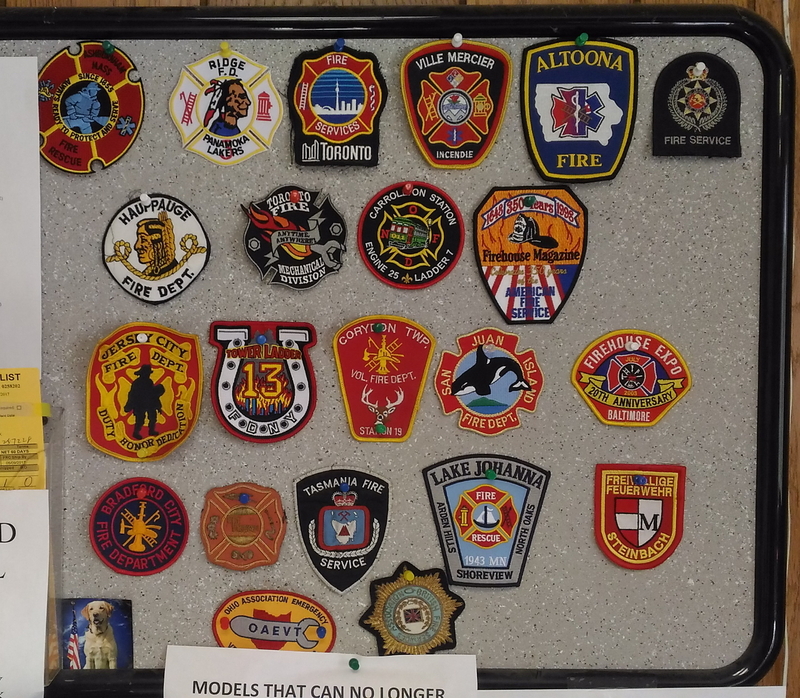 One day one of our service techs (a local volunteer fire fighter himself) received a patch from a representative of a large fire brigade overseas in thanks for solving a particularly pesky problem. The patch was also proudly displayed on the board in the service department, and since that day as we’ve had visitors come through the plant, some have noticed the board and in similar fashion sent in patches to thank the service department for the various good deeds they have done over the years. While wandering through the service department the other day, noticed the board and wanted to share. We are all proud to be of service to you!